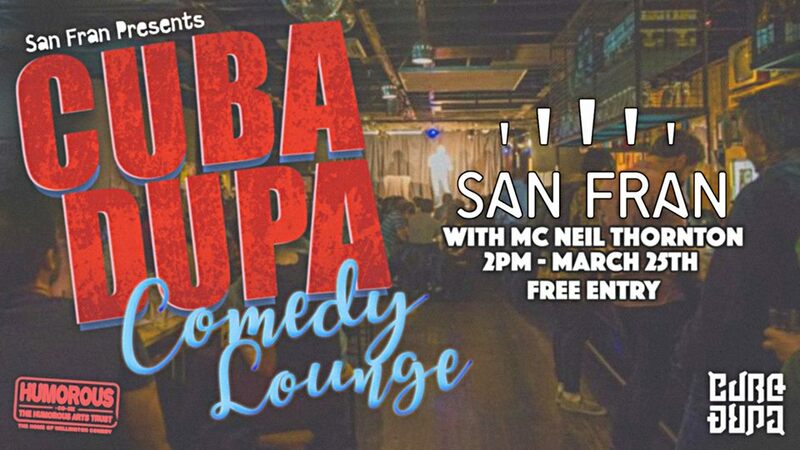 The Cuba Dupa Comedy lounge is back on Sunday March 25th hosted by MC Neil Thornton. Come up and get your Cuba Dupa laughs in San Fran's cabaret comedy lounge set up. Twelve local and national acts. FREE entry, 2pm to 5pm. (The balcony will be open during the show for Cuba Dupa's best viewing platform).